This festive season, London is packed full of activities and events to visit. 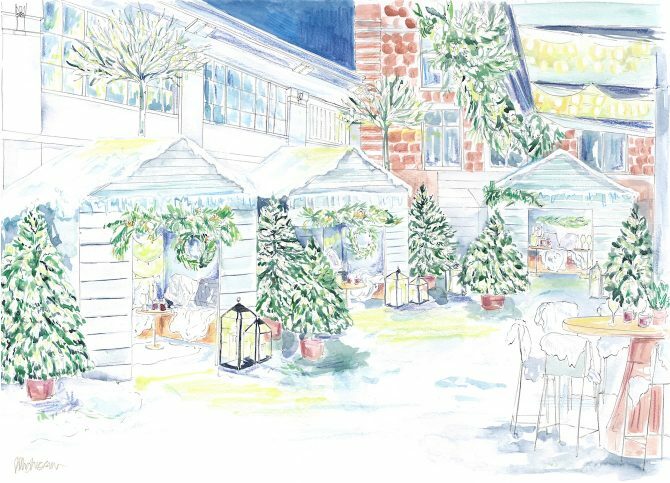 From romantic ice skating at the Natural History Museum to festive food and drinks in a heated Narnia-inspired chalet nestled at Bluebird Chelsea. There are just so many Christmas events in London for 2018! 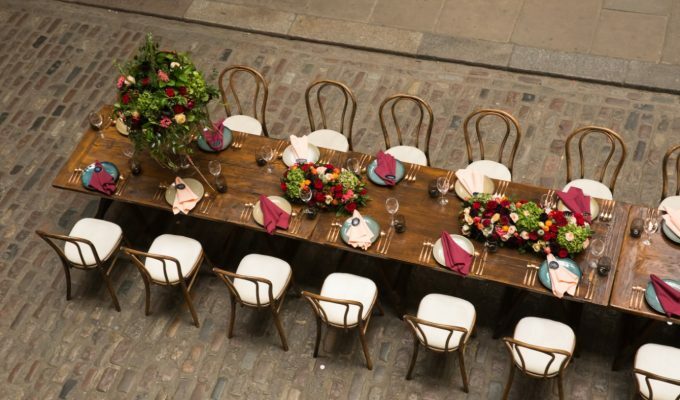 We’ve rounded up some of our favourite events which are perfect for a romantic date with your partner or to celebrate with your bridesmaids/groomsmen. Whoever you go with, these are bound to be Instagram worthy! Let us know any other recommendations in the comments below. 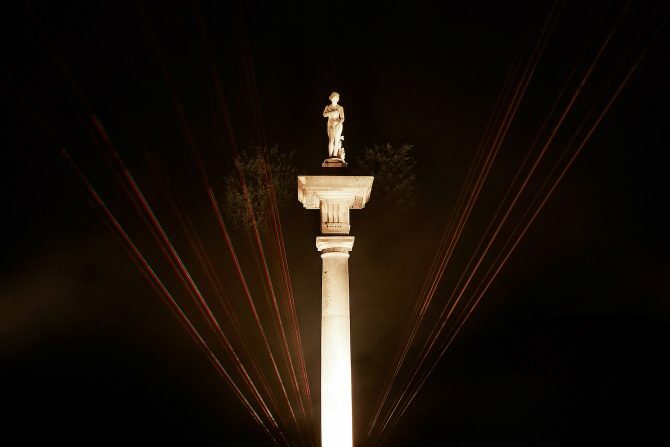 Discover the beautiful Chiswick House and Gardens like you’ve never seen them before, with a brand new night walk and light display. Transforming the historic property and its grounds into a magical evening out. Start with a light show set to the curated soundtrack by singer and songwriter of Kasabian, Sergio Pizzorno. Followed by a walk along the trail and be amazed at the stunning light shows at different points throughout the trail. From a moon suspended in the trees, to laser lights bouncing off the lake. After the walk which takes around 45 minutes, warm up in the walled gardens with a boozy hot chocolate and some delicious food from London’s best Street Food Traders. I was lucky enough to visit After Dark on the launch night and definitely recommend visiting! Perfect for couples or an evening with the bridesmaids/groomsmen. London’s first Vegan French Pâtisserie, Café Forty One, is offering a delicious Vegan Festive Menu over the festive period. This unique dining experience in the heart of London will delight your taste buds with tasty vegan food which you wouldn’t think is vegan after all. Taking a twist on the classic favourites and seasonal ingredients, the menu includes both French and British inspired dishes. I was lucky enough to taste the new menu and I can honestly say, it was incredibly delicious and definitely want to go back! On the festive menu, you’ll discover ‘Smoked Salmon’, cream cheese and avocado on rye (this was so good!) to warming Nut Wellington with gravy and mashed potatoes. 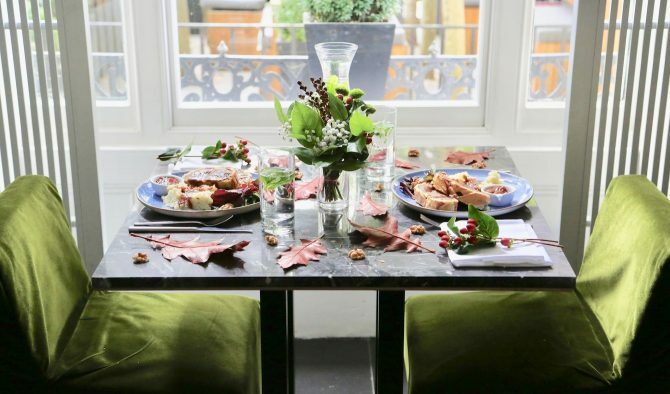 Whether you visit for an afternoon tea with the wedding party or a romantic meal with your partner, this is definitely the place for incredible vegan food in London! Close to Hyde Park, Connaught Village is a beautiful place for a bit of luxury shopping. On Thursday 22nd November, the village will be celebrating 150 years and hosting a festive Christmas Shopping Evening. Discover independent boutiques and meet the designers at stores including Ritva Westenius, Eliza Jane Howell, Lucy Choi London, Judy Wu, Mud Australia and many more. Whilst shopping, the local school choir will be making their way around the village with many free activities taking place. From making homemade blinis with Sudi Pigott at Connaught Kitchens to fashion illustrator Eleni from Fall, bringing shoppers to life through beautiful drawings. Many of Connaught Village’s premium retailers will be offering one-off masterclasses and 20% discount. 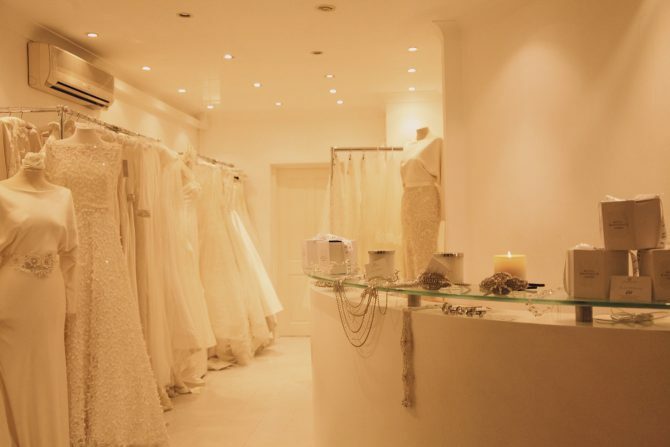 Ritva Westenius will be hosting 2 hours of shopping with 50% off her gowns. Escape to the hustle and bustle of King’s Road to Narnia at Bluebird Chelsea. Perfect for groups, you’ll discover three new heated wooden chalets in the courtyard, surrounded by a magical white wonderland decor. Delight your taste buds with a warming menu of fondue, apple pie and alcoholic hot chocolate. Snowy Christmas trees, pine cones, lanterns and twinkling lights. What could be better? Each chalet is furnished with velvet and faux-fur cushions, throws and festive wreaths. The chalets can be rented for up to eight people and will be perfect for an evening of festive food and drink. The iconic Natural History Museum Ice Rink is back for the 2018 festive season and we cannot be more excited. 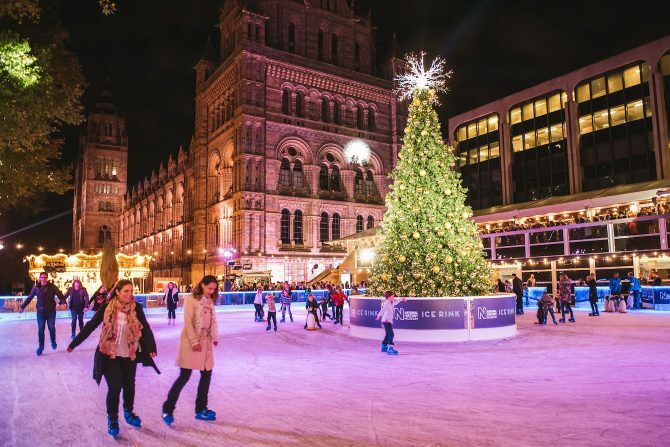 Skate with the backdrop of the iconic Natural History Museum, around a huge 30ft sparkling Christmas tree. Last year, the ice rink had over 165,000 visitors and we can see why it’s a beautiful place for skating! After your skate, head to the Café Bar for seasonal treats and drinks to warm you up and take in all the action from the perfectly positioned balcony. Ticketmaster returns this year with a series of intimate and unique free acoustic performances from some of the best new and emerging musical talent in the UK. All shows are free and take place in the alpine-style Café Bar. From the 22nd November to 22nd December, join the team at the St-Germain Winter Bloom Pup Up for a series of hands-on workshops. 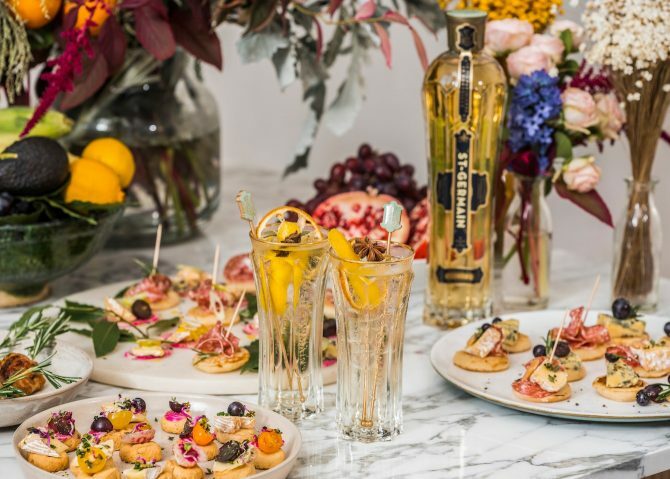 Learn how to make chic cocktails and nibbles for a French soirée whilst getting to grips with making beautiful Christmas bouquets, wreaths and flower crowns. You’ll also be able to buy some stunning homemade decorations and luxury stocking fillers. These workshops are great for bridesmaids to get some time together before the big day! Even if you don’t attend one of the workshops, pop by for some mulled Cidre Chaud and the sweet spiced Hiver. Dates: Friday 23rd November to Saturday 22nd December, from 12pm to 9pm, closed on Monday and Tuesday. For further information, visit St-Germain on Facebook. 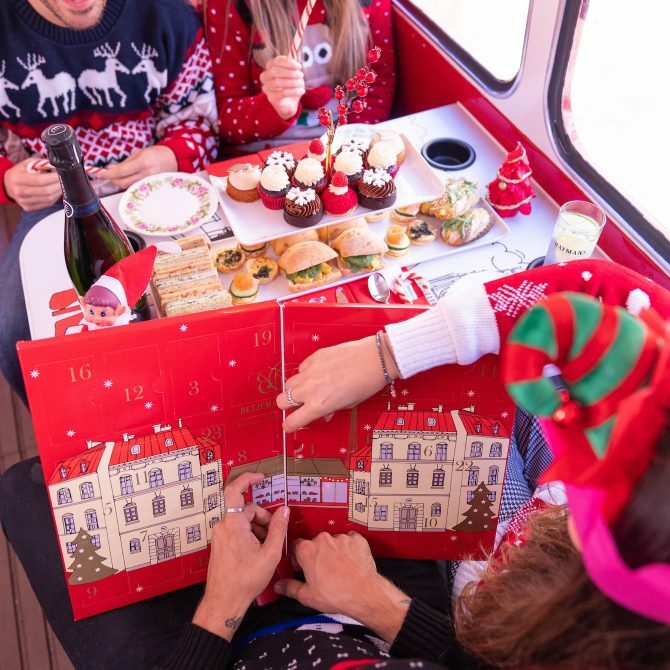 Afternoon tea on a bus? Now that’s what we’re talking about! Enjoy a quintessentially English selection of finger food whilst taking in the city’s most iconic landmarks and Christmas decorations. During the bus tour, you’ll see Westminster Abbey, The Houses of Parliment, Marble Arch, Big Ben and more, all from the comfort of a 1960’s Routemaster bus. The Christmas inspired menu features Spinach and Goats Cheese Quiches, Smoked Salmon Binis and Coronation Chicken Buns. Of course, there’s plenty of sweet cupcakes too! Whether you go with your loved one or the wedding party, this will be an afternoon in London you’ll remember! Dates: 22nd November to Saturday 22nd December. 12 pm – 7 pm, Tuesday – Sunday.